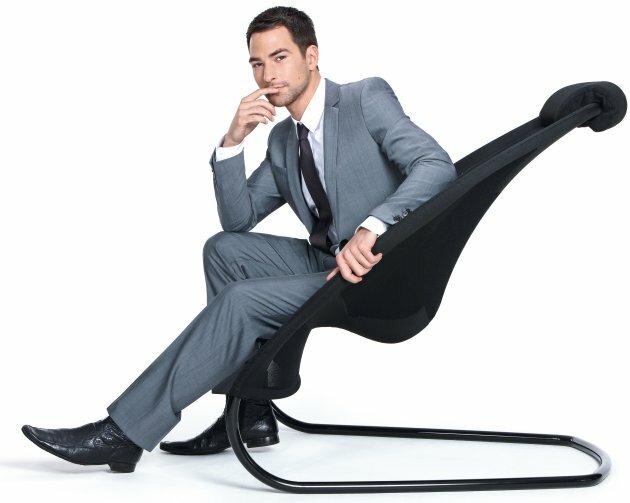 German manufacturer Interstuhl has a new chair design that was exhibited at the recent Orgatec office furnishings show in Cologne, Germany. 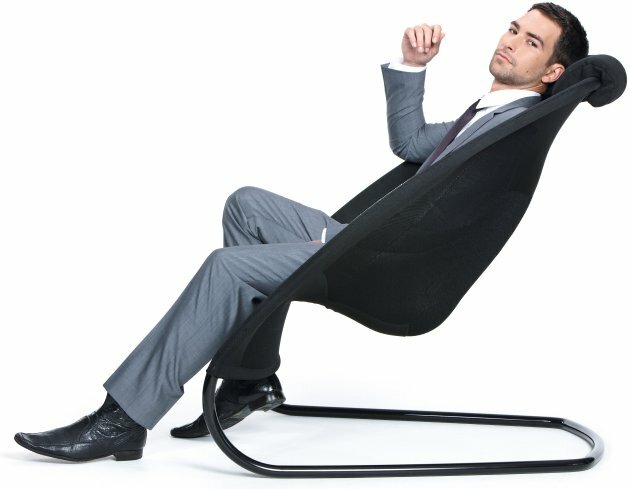 The Fit chair was designed by Zurich, Switzerland based Christine Lüdeke. Visit the Interstuhl website – here. Visit Christine Lüdeke’s website – here. There are innumerable designs for easy chairs and chairs, with new ones being constantly added. 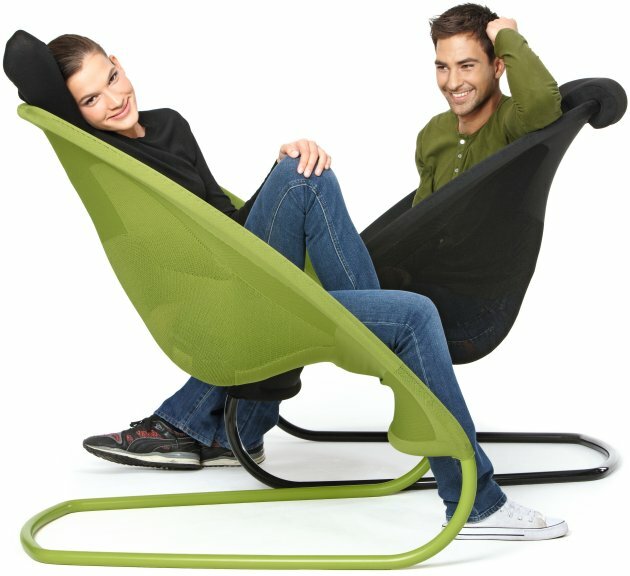 But innovations that completely challenge the conventional notion of seating are very rare. Fit is one such model that looks only minimalist at first glance and doesn’t reveal its many qualities until you sit down on it. 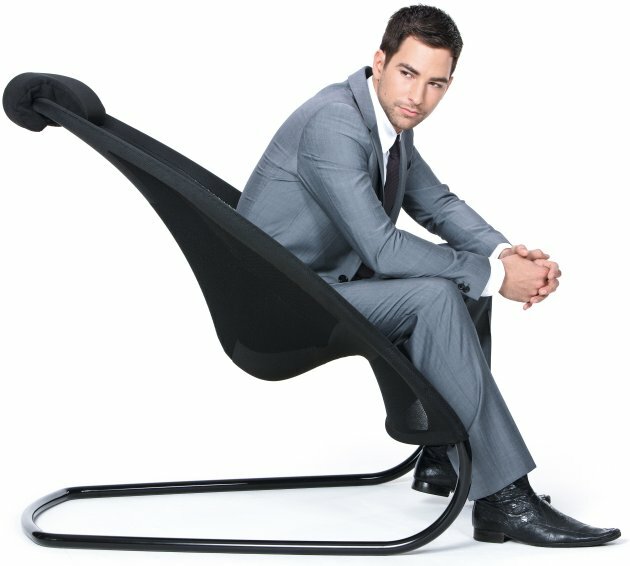 First of all you have to use your imagination to identify an easy chair in the 60-degree slanting element. But if you let yourself down at an angle you will experience something unique. 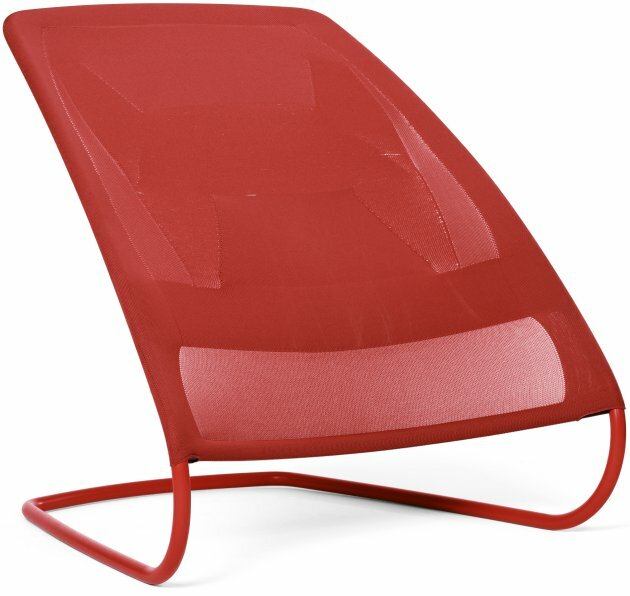 You will be rewarded by a very comfortable seating sensation in a type of cantilever model that has been made possible by modern fibres and new weaving methods. 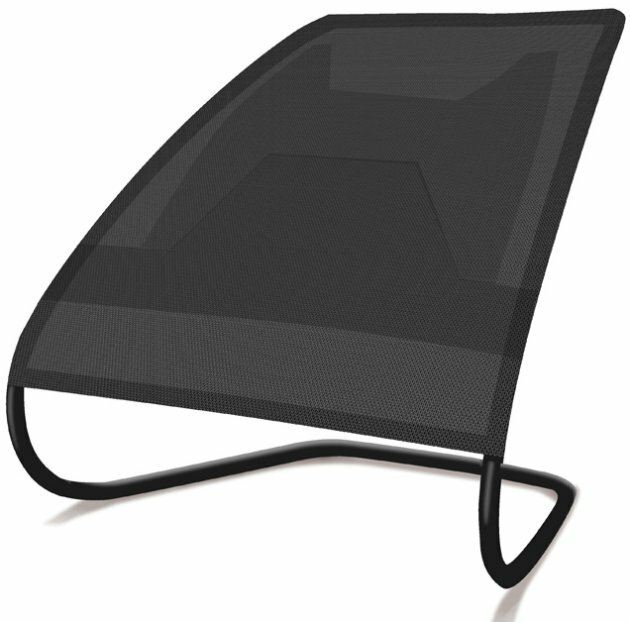 A knitted Trevira fabric is stretched between the chrome-plated steel frame. A new weaving method allows the production of different woven zones to create areas of firmer and softer seating. The result impresses through a high level of comfort for people of all weights. This innovative weaving method creates an open mesh structure that guarantees an optimum micro-climate for users. There is no accumulation of heat, and moisture is carried off from the body. 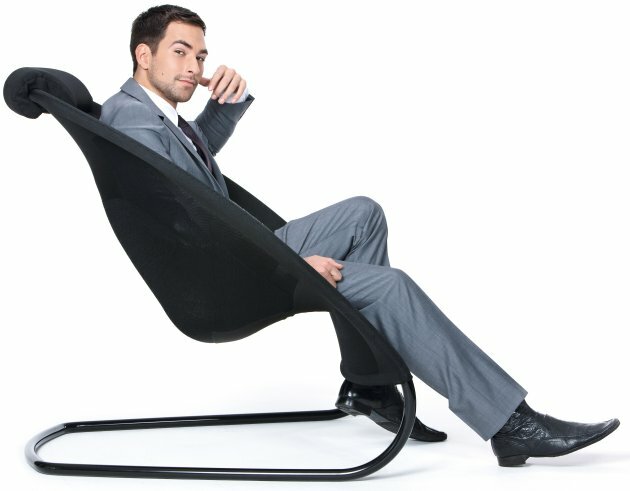 This new easy chair has been designed by the design office ludekedesign (Christine Lüdeke) from Zurich, that has been involved in design for the aviation industry for many years, in co-operation with Kobleder GmbH & Co from St. Martin in Innviertel (A), a company that has specialised amongst others in the use of modern weaving methods in furniture construction.